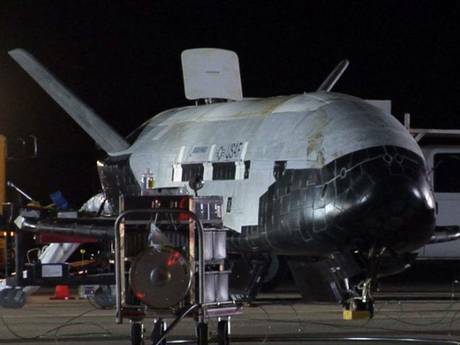 A TOP secret unmanned space plane, that has spent nearly two years circling the Earth on a classified mission, has landed at a US Air Force base on the Southern California coast. The aircraft, which resembles a miniature version of the space shuttle, safely touched down at 9.24am on Friday at Vandenberg Air Force Base. Theories have abounded as to the highly classified mission undertaken by the Orbital Test Vehicle or X-37B during its 674 days in orbit. Among them is the suggestion that the aircraft was used to spy on China's new space labrartory. 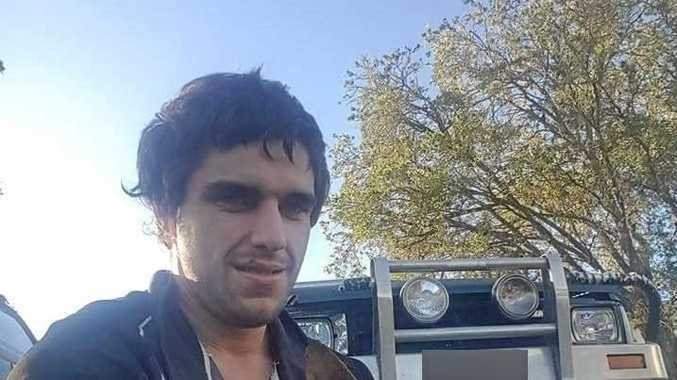 Several experts have theorized it carried a payload of spy gear in its cargo bay. Other theories sound straight out of a James Bond film, including that the spacecraft would be able to capture the satellites of other nations. The US Air Force has remained tight-lipped on what the plane was doing in space, saying only that it had been conducting "on-orbit experiments." 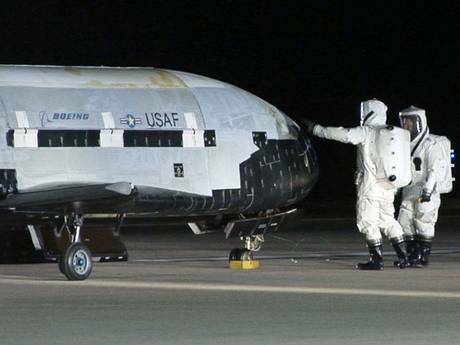 The X-37B program has been an orphan of sorts, bouncing since its inception in 1999 between several federal agencies, NASA among them. It now resides under the Air Force's Rapid Capabilities Office. The plane that landed Friday is one of two built by Boeing. This is the program's third mission, and began in December 2012. The plane stands 9. 1/2 feet (2.9 meters) tall and is just over 29 feet (almost 9 meters) long, with a wingspan under 15 feet (4.5 meters). It weighs 11,000 pounds (4,989 kilograms) and has solar panels that unfurl to Charge its batteries once in orbit. The Air Force said it plans to launch the fourth X-37B mission from Cape Canaveral, Florida, next year. Trending: baby bombshell and boy, 8, "Dirty Dancing"